The Importance of training cannot be stressed enough. If we can educate our children for twenty years why not train our pets for only three to six months! An untrained pet can be a hazard especially if it is more than 40 Kilograms in weight. Social and ethical obligations therefore make it mandatory for you to train your pets. Includes commands like sit, down, come. go, stay, heel, salute, speak, quiet etc. Imagine a fifty kilo Rottweiler pulling you down the street! Therefore teaching it obedience is important. Also remember obedience means your pup or dog will not steal food, eat rubbish, sleep on your bed, jump on your visitors or humiliate you publicly. Dr Unny disagrees that training means making the dog a circus animal. If our children can be disciplined why not our pets. 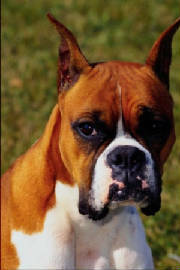 Obedience training is a necessity for all dogs irrespective of breed or type. It takes a good trainer between three to four months to train a dog in this. Dr Unny has a staff of three trainers including dog master Niranjan Singh a retired BSF Dog trainer with over thirty years experience. Gobind also serves as part time trainer at this clinic. They all charge between Rs 1800 - Rs 3000 depending on the dog and the location. All training is done at the clients house. All acessories needed for good training is available at the clinic. Recently we have started to experiment with clicker training. It is however a misconception that a professional trainer is needed to train your dogs. The best trainer is the owner himself or herself. But one needs to be methodical and regular with the schedule. The efforts will begin to show in a few months. A Manual on Dog Training is available now at the clinic. All that one needs to train ones pet is mentioned. Please read it and try training at your end. The golden thumb rule that serves to tell you about how a trainer is treating your dog is that if your pet crouches in fear when he sees his trainer, it is being ill treated. It's time then to get a new trainer!!!! Advanced training is not for all dogs and is breed specific. Scent determination is best for dogs like labs and Alsatians. Guarding is good with naturally aggressive breeds like the Rottweiler, Doberman, Alsatian, Gaddis, Rajapalayams etc. Toy dogs can perform tricks well. Never go for advanced training before completing basic obedience training well. Also remember if the dog is trained to kill or attack but is poor in the command of recall, you could be in legal trouble. Training in these commands needs a minimum of six months to one year.